Marty Ball is a philosophy of football associated with and named after former NFL and UFL head coach Marty Schottenheimer. In simple terms, it means a focus on the running game, with passing used only to further the running game. Fans (and critics) refer to this scheme as "run, run, pass, punt". Schottenheimer is considered to be a conservatively-minded coach with the majority of his focus on defense. The term "Marty Ball" is generally considered a pejorative because, at times, Schottenheimer would steadfastly continue to emphasize this form of offensive attack while attempting to hold onto a small lead or when playing from behind - often without success. In terms of regular season play in the NFL, Schottenheimer often ran Marty Ball successfully. During his coaching career with the Cleveland Browns, Kansas City Chiefs, Washington Redskins and San Diego Chargers, Schottenheimer compiled a 200-126-1 record. His teams won eight division titles, made 13 trips to the NFL playoffs, and reached the AFC Championship Game three times. He failed to successfully execute Marty Ball in the postseason, where he has a 6-13 record and never reached the Super Bowl. Schottenheimer is the only head coach in NFL history with at least 200 wins to have a losing playoff record. Fellow NFL coach Herman Edwards said that it "probably detracts [from his legacy] in the minds of some people, but I know it doesn’t in the minds of people who have coached against him." Despite never reaching the Super Bowl in the NFL, Schottenheimer has won a pro football title of sorts as a head coach. In 2011, he guided the United Football League’s Virginia Destroyers to the league championship, defeating the Las Vegas Locomotives in the title game. Schottenheimer’s Destroyers were powered offensively by running back Dominic Rhodes, who was also the UFL Offensive Player of the Year in 2011. Although Schottenheimer's assistants have gone on to successful head coaching careers--Bill Cowher, Tony Dungy, and Herm Edwards have also employed similar strategies of running the football and having a strong defense (also known as "smash mouth football") -- none have adopted the Marty Ball approach. Edwards in particular is likely the closest to using the Marty Ball strategy than any other Schottenheimer protégé. Tony Dungy, in particular, employed a run-first offense during his tenure as coach of the Tampa Bay Buccaneers from 1996-2001. 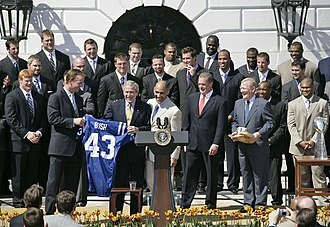 However, he abandoned his conservative philosophy during his coaching tenure with the Indianapolis Colts from 2002-2008. Dungy's Colts teams normally passed the ball more on offense due to Peyton Manning's presence on the team. 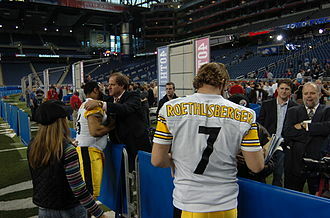 In addition, Bill Cowher had been known to take more risks (such as attempting fourth down conversions) than his mentor during his tenure with the Pittsburgh Steelers from 1992-2006, and himself had successful passing offenses with Neil O'Donnell, Ben Roethlisberger, and to a lesser extent Tommy Maddox without abandoning the running game. Unlike Schottenheimer, both Cowher and Dungy have each won a Super Bowl. In 2016, Dungy earned induction into the Pro Football Hall of Fame for his work as a head coach. Mike McCarthy, who is also one of Schottenheimer's former assistants, employs a pass-oriented offense as well, as the current head coach of the Green Bay Packers. 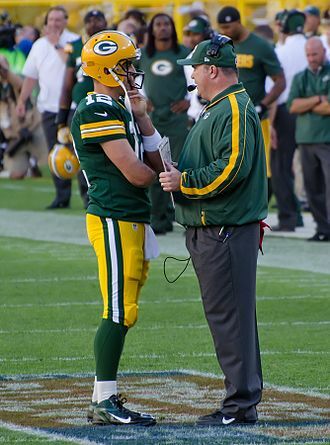 With the help of quarterback Aaron Rodgers, McCarthy was able to guide the Packers to a Super Bowl win in 2010. ^ "Archived copy". 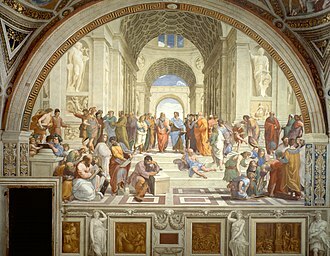 Archived from the original on 2011-07-08. Retrieved 2010-06-06. ^ "Marty Schottenheimer gets first pro title". 2011-10-23. Retrieved 2017-10-20. 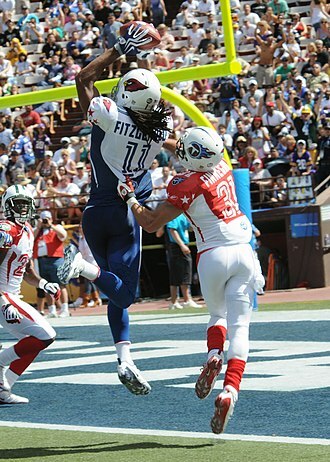 In American football a play is a close to the ground plan of action or strategy used to move the ball down the field. 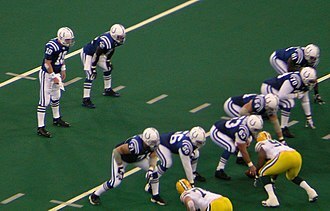 A play occurs at either the snap from the center or at kickoff, most commonly plays occur at the snap during a down. These plays range from basic to very complicated, football players keep a record of these plays in their playbook. A play begins in one of two ways, A play from scrimmage begins when the ball is delivered from the center to a back, usually the quarterback. The ball carriers forward progress is stopped to the point where a stalemate occurs and it is clear that the ball cannot be advanced any farther, the ball carrier steps out of bounds. 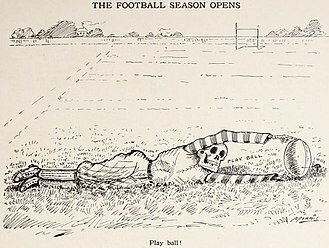 A forward pass touches the ground before it is caught, the ball touching the ground in other situations does NOT end the play. In the case of a fumble, the play continues until one of the above conditions is met. 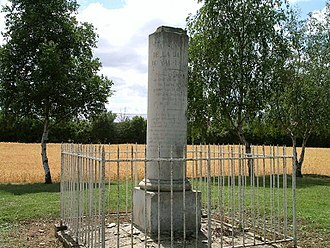 When the play ends, the ball is set for the next play, for the first three instances above, the ball is set at the point of its maximum forward progress. If he runs backwards of his own volition, the ball is marked where he goes down, in the case of an incomplete pass, the ball is placed at the previous line of scrimmage. 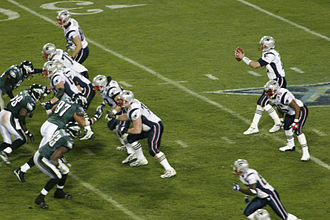 Play resumes as described above, the offensive team must have seven players on the line of scrimmage at the start of a play. Those players may be positioned at any place along the line of scrimmage, the defensive team may position as many as 11 players on the line of scrimmage. Usually, there are from 3 to 8 defensive players on the line of scrimmage, run block -- An active type of blocking, where the player steps forward in an attempt to push a defensive player out of the path of the ball carrier. Pass block-- A passive type of blocking, where the player steps backward to establish a pocket around the quarterback to give the quarterback a chance to pass. Lead block-- A situation where one player precedes the ball carrier along his path in order to clear any defensive players that have not already been blocked. Pull -- When a member of the line takes a step back from his usual place in a line. The AFC Championship Game is one of the two semi-final playoff games of the National Football League, the largest professional American football league in the United States. The game is played on the penultimate Sunday in January and determines the champion of the American Football Conference, the winner advances to face the winner of the National Football Conference Championship Game in the Super Bowl. The game was established as part of the 1970 merger between the NFL and the American Football League, with the merged league realigning into two conferences. Since 1984, each winner of the AFC Championship Game has received the Lamar Hunt Trophy, named after the founder of the AFL and longtime leader of the Kansas City Chiefs, Lamar Hunt. 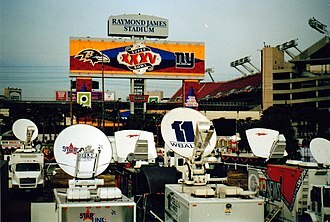 The first AFC Championship Game was played following the 1970 regular season after the merger between the NFL and the American Football League. The game is considered the successor to the former AFL Championship, every AFC team except the Houston Texans has played in an AFC Championship Game at least once. The Pittsburgh Steelers have the most appearances in the AFC Championship Game at 16, with 11 of those games being in Pittsburgh, at the end of each regular season, a series of playoff games involving the top six teams in the AFC are conducted. In the current NFL playoff structure, this consists of the four division champions, the two teams remaining following the Wild Card round and the divisional round play in the AFC Championship game. Initially, the site of the game was determined on a rotating basis, since the 1975–76 season, the site of the AFC Championship has been based on playoff seeding based on the regular season won-loss record, with the highest surviving seed hosting the game. A wild card team can only host the game if both participants are wild cards, in case the fifth seed would host the sixth seed. 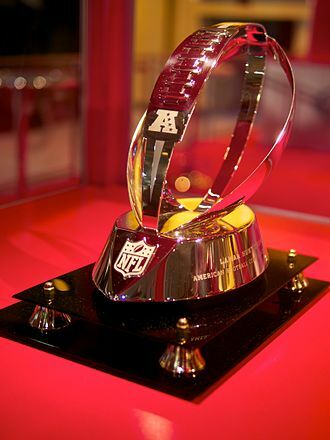 Such an instance has never occurred in the NFL, beginning with 1984–85 season, the winner of the AFC Championship Game has received the Lamar Hunt Trophy, named after the founder of the AFL. Thomas Alfred Maddox is a former football quarterback in the National Football League, the XFL, and the Arena Football League. Maddox was born in Shreveport and raised in Hurst, Texas, at UCLA, Maddox played collegiately for two seasons and led UCLA to the John Hancock Bowl in 1991. The Denver Broncos drafted Maddox in the first round of the 1992 NFL Draft, originally thought to be the successor to Broncos star quarterback John Elway, Maddox had an unimpressive record in his rookie year and saw limited playing time in his early NFL career. Before the 1994 season, the Broncos traded Maddox to the Los Angeles Rams, and Maddox would join the New York Giants, Jacksonville Jaguars, Maddox played under coach Dan Reeves with the Broncos and Falcons. 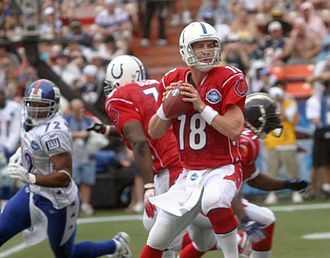 Maddox became starting quarterback for the Los Angeles Xtreme of the XFL, with the Xtreme, Maddox led the team to the Million Dollar Game championship and became league MVP for the season. Later that year, Maddox signed with the Pittsburgh Steelers, originally as backup to Kordell Stewart, Maddox became the Steelers starting quarterback in 2002 and led the Steelers to a 10–5-1 record and a postseason run. For his achievements in 2002, the NFL named Maddox Comeback Player of the Year, in this backup role, Maddox earned a Super Bowl ring when Pittsburgh won Super Bowl XL after the 2005 season, beating the Seattle Seahawks. 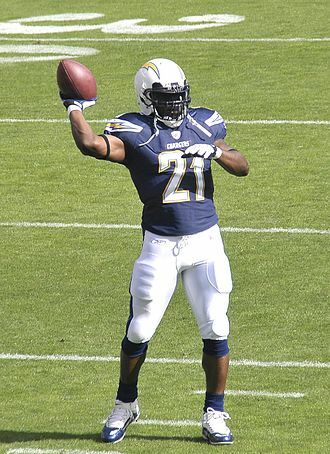 The 2005 season was his final season as a football player. After retiring from football, Maddox became a baseball coach in his native Dallas/Fort Worth area. Born in Shreveport, Maddox graduated from L. D, Bell High School at Hurst, Texas in 1990. At L. D. Bell, Maddox lettered in football, basketball, as a senior, he was team captain, and was named the Southwest Texas Offensive Player of the Year, District Most Valuable Player, and the Area Most Valuable Player. 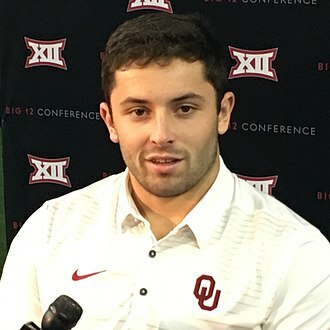 Maddox played two seasons of football as quarterback at UCLA. In 1990, Maddox completed 182 of 327 of his passes for 2,682 yards,17 touchdowns, and 14 interceptions. The following season, Maddox led UCLA to a 9–3 record and the John Hancock Bowl title with a 209-for-343 completion rate for 2,681 yards,16 touchdowns, and 16 interceptions. 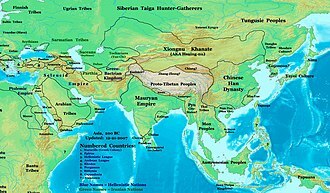 The Tampa Bay Buccaneers are a professional American football franchise based in Tampa, Florida. The Buccaneers currently compete in the National Football League as a team of the National Football Conference South division. Along with the Seattle Seahawks, the joined the NFL in 1976 as an expansion team. After the season, the club switched conferences with the Seahawks, during the 2002 league realignment, the Bucs joined three former NFC West teams to form the NFC South. 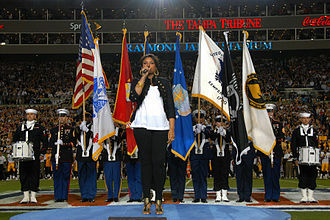 The club is owned by the Glazer family, and plays its games at Raymond James Stadium in Tampa. They are the first team since the merger to complete a season when starting 10 or more rookies. In 1976 and 1977, the Buccaneers lost their first 26 games, after a brief winning era in the late 1970s and early 1980s, the team suffered through 14 consecutive losing seasons. Over the course of 41 seasons, the Buccaneers have compiled an record of 256–402–1, with a regular-season record of 250–393–1. Unlike in the case of Green Bay, there is no municipality known as Tampa Bay. The Tampa Bay in the names of local professional sports franchises, such as the Buccaneers, Rays and Storm, denotes that they represent the entire region, the Tampa Bay expansion franchise was originally awarded to Tom McCloskey, a construction company owner from Philadelphia. McCloskey soon entered a dispute with the NFL, so the league found a replacement in Hugh Culverhouse. 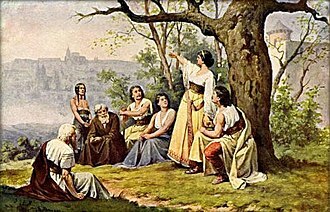 A name-the-team contest resulted in the nickname Buccaneers, a reference to the legends of Southwest Florida. They were one of the few teams to wear white home uniforms, the teams first home was Tampa Stadium, which had recently been expanded to seat just over 72,500 fans. Steve Spurrier was the quarterback for Tampa Bay during their expansion season, the Buccaneers joined the NFL as members of the AFC West in 1976. The following year, they were moved to the NFC Central, while the other 1976 expansion team, the Seattle Seahawks, switched conferences with Tampa Bay and joined the AFC West. This realignment was dictated by the league as part of the 1976 expansion plan, instead of a traditional schedule of playing each division opponent twice, the Buccaneers played every conference team once, plus the Seahawks. Martin Edward Schottenheimer is a former professional American football player and coach. 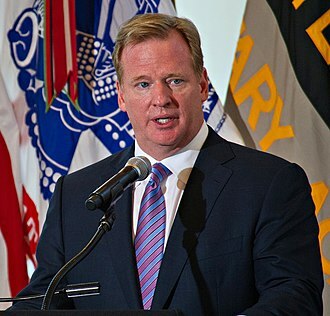 Over his career, he has served as coach of the Cleveland Browns, Kansas City Chiefs, Washington Redskins. He has the most wins of any NFL coach to never coach a team in a Super Bowl. He was fired from his coaching position with the San Diego Chargers in 2007, after leading the Chargers to a 14–2 regular season record. He emerged as the coach of the Virginia Destroyers of the United Football League. In 21 years as an NFL head coach, Schottenheimer won 200 regular season games and 5 out of 18 games in the postseason and he is the only coach in NFL history with at least 200 wins that has a losing playoff record. Schottenheimer was born in Canonsburg, Pennsylvania and he attended high school at Fort Cherry High School in McDonald, Pennsylvania. He signed with the Bills and spent the four seasons with Buffalo, including the Bills 1965 AFL Championship season. Schottenheimer was still with the team during the 1969 preseason and intercepted two passes in a game against the Houston Oilers, some time between the 1969 preseason and regular season, Schottenheimer was sent to the Boston Patriots and spent the next two seasons with the Pats. He was traded to the Pittsburgh Steelers in 1971 but was traded again to the Colts before the beginning of the 1971 season and he retired from football in 1971 and spent the next several years working in the real estate industry. Schottenheimer credits his professional playing career as being his inspiration for coaching, Schottenheimer came out of retirement in 1974 to sign with the Portland Storm of the World Football League as a player-coach. He injured his shoulder prior to the start of the season, Schottenheimers professional coaching career began in 1974 when he became linebackers coach for the Portland Storm of the World Football League. In 1975 he was hired as a coach for the NFLs New York Giants. Schottenheimer spent 1978 and 1979 as the coach for the NFLs Detroit Lions. 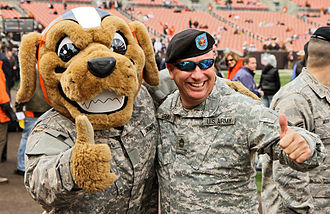 In 1980, he was hired as the coordinator for the Cleveland Browns. The Browns were down 17–16 in the quarter, and lost on an interception in New Englands end zone as time expired. Chants of Goodbye Sam rung out from the stands after the New England game, Browns owner Art Modell called the play-calling inexcusable and fired Rutigliano two weeks later. The Green Bay Packers are a professional American football team based in Green Bay, Wisconsin. The Packers compete in the National Football League as a club of the leagues National Football Conference North division. They are the third-oldest franchise in the NFL, organized and it is the only non-profit, community-owned major league professional sports team based in the United States. Home games are played at Lambeau Field, the Packers are the last vestige of small town teams common in the NFL during the 1920s and 1930s. Founded in 1919 by Earl Curly Lambeau and George Whitney Calhoun, between 1919 and 1920, the Packers competed against other semi-pro clubs from around Wisconsin and the Midwest. They joined the American Professional Football Association, the forerunner of todays NFL, the Packers have won 13 league championships, the most in NFL history, with nine NFL titles before the Super Bowl era and four Super Bowl victories. They won the first two Super Bowls in 1967 and 1968 and were the only NFL team to defeat the American Football League prior to the AFL–NFL merger. The Vince Lombardi Trophy is named after the Packers head coach of the same name and their two further Super Bowl wins came in 1997 and 2011. The Packers are long-standing adversaries of the Chicago Bears, Minnesota Vikings, and Detroit Lions, the Bears–Packers rivalry is one of the oldest in NFL history, dating back to 1921. The Green Bay Packers were founded on August 11,1919 by former high-school football rivals Earl Curly Lambeau, Lambeau solicited funds for uniforms from his employer, the Indian Packing Company. He was given $500 for uniforms and equipment, on the condition that the team be named for its sponsor, the Green Bay Packers have played in their original city longer than any other team in the NFL. On August 27,1921, the Packers were granted a franchise in the new pro football league that had been formed the previous year. Financial troubles plagued the team and the franchise was forfeited within the year, before Lambeau found new financial backers and these backers, known as the Hungry Five, formed the Green Bay Football Corporation. John McKay was the team's first coach from 1976 to 1984. The Buccaneers defeated the Eagles in their first playoff appearance in 1979 after suffering three consecutive losing seasons. Jon Gruden coached the Buccaneers to a Super Bowl win in 2002. The Buccaneers' Super Bowl XXXVII champions flag. 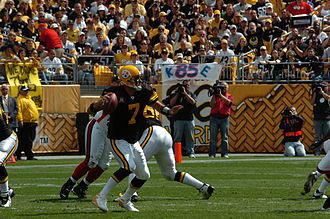 Roethlisberger takes a snap against the Bengals in 2006. Roethlisberger signs autographs at Super Bowl XL media day. Roethlisberger at the Super Bowl Parade. 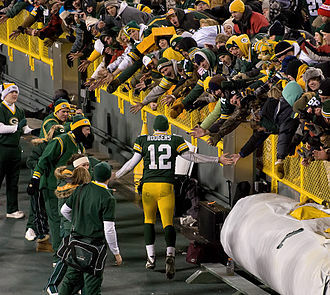 Rodgers greeting the fans in Lambeau Field during the 2010 season's finale against the Bears. The option offense can be run out of various formations. Here, Morris Knolls High School of Denville, New Jersey is running the veer option. A QB pitches the ball. Some colleges, such as the University of Florida, run a spread offense that utilizes portions of the option, dubbed the spread option. The Wake Forest Demon Deacons are lined up in a three-receiver spread package during a 2012 game against Boston College. In the Houston Cougars' spread offense, Case Keenum became the NCAA's all-time leading passer. Schottenheimer holding the 2011 UFL Championship following the Destroyers' win over Las Vegas. Cowher's North Ridge Country Club home in Raleigh, North Carolina. A route tree for a receiver on the left side of the offensive.